Governance is defined as “as the alignment of an initiative (project, programme or product development) with organisational goals to create value. Governance defines how the initiative is set up, managed and controlled. Agile delivery relies on information on the current status of the project being visible to the whole business and control processes are collaborative and running continuously so that the “expected level of quality” is met. Many believe that Agile and Governance are in conflict. The primary concern seems to be that Agile methods promote self-organizing as a major virtue, and that governance as it is conventionally practiced is seen as a threat to that independence. But this concern is unfounded as governance ensures that stake holders’ objectives are met in a reasonable and cost effective manner. It also confirms that the necessary monitoring steps are followed. As effective governance is principle and policy led, there cannot be any conflict with Agile process. Improved shareholder value because IT systems are managed as business assets. Improved business IT relationship because IT infrastructure requirements are translated to measurable goals. Improved return on investment on IT infrastructure investments because management can track and enforce use of new infrastructure. Reduced chance of project failures because technical and compliance issues are identified earlier. Reduced cost of compliance with regulations and internal standards because these are introduced and addressed at the planning stages. 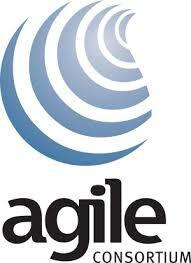 This one-day conference provides pointers to a new wave of agile thinking and why organisations need to embrace this. Thought leaders and practitioners show how this can be done with controls and behaviour practices in place and more importantly show that governance is agile friendly.